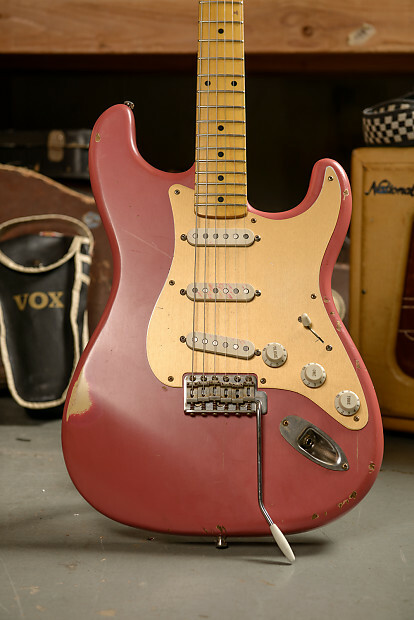 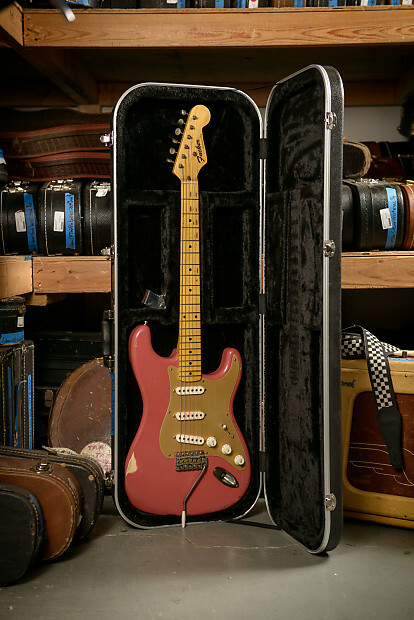 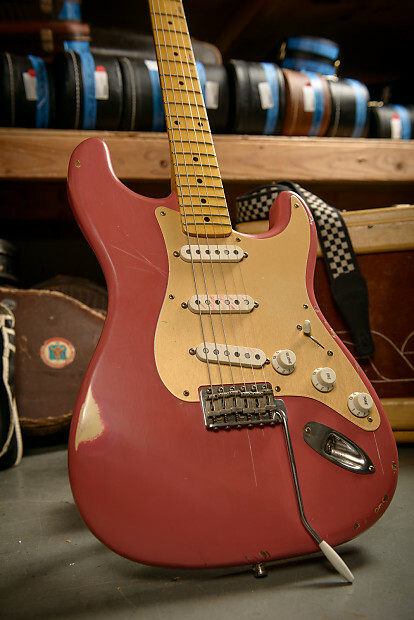 Built and signed by Bill Nash, this funky Strat-style guitar carries the unique moniker of "F*cker Sh*tblaster." 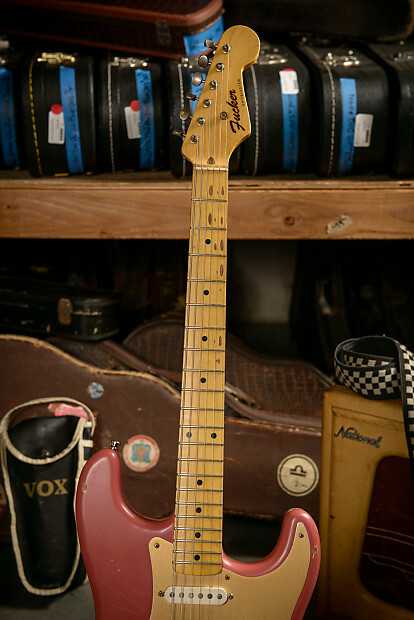 This comes direct from the collection of Rick Nielsen and sports a flashy pink finish gold pickguard, and sturdy tremolo arm. 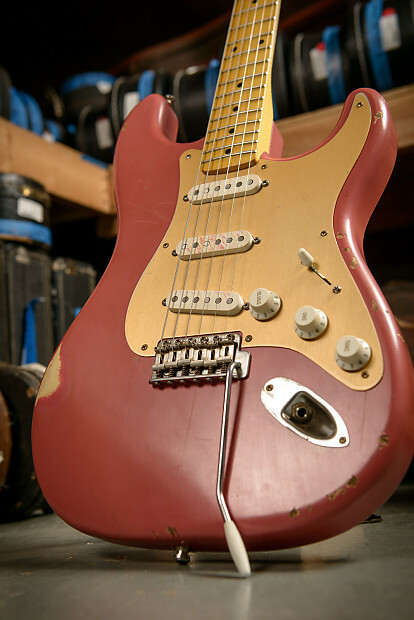 The neck is a bit chunkier than your average Strat, and the guitar is lightly relic'd throughout the body and neck. 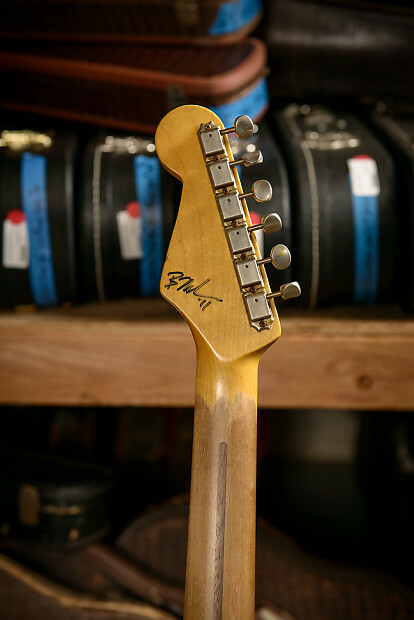 Condition: The guitar is excellent condition. 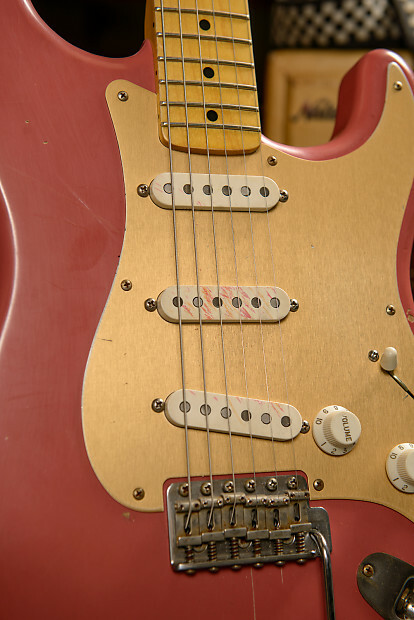 The only thing that's at all off about it is some unexplained crayon or colored pencil markings on the center pickup. 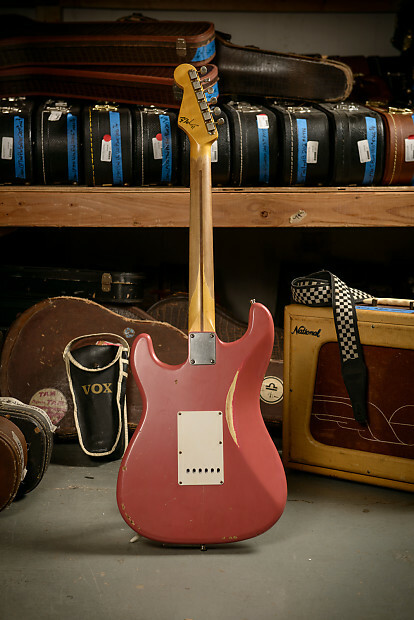 Though knowing Bill Nash's style, this may be intentional. 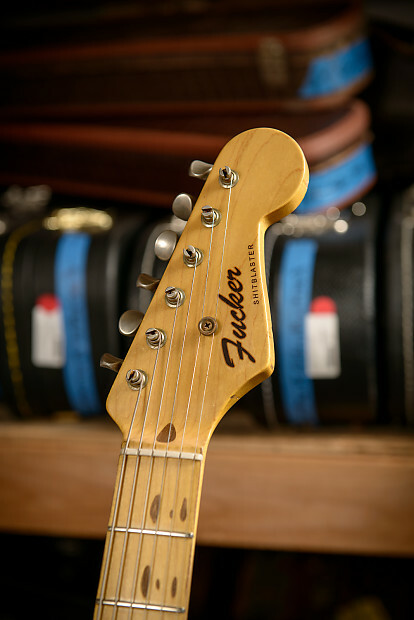 Playability: Everything rings loud and clear with low to medium-low action.